The international organization Amnesty International, seeking to protect those whose rights are violated, has joined the call to release the Crimean Tatar activist illegally condemned by the occupation regime. Amnesty International stands for the immediate release of Deputy Chairman of the Mejlis of the Crimean Tatar people Akhtem Chiygoz, who was sentenced to 8 years imprisonment by the occupation authorities of the Crimea. 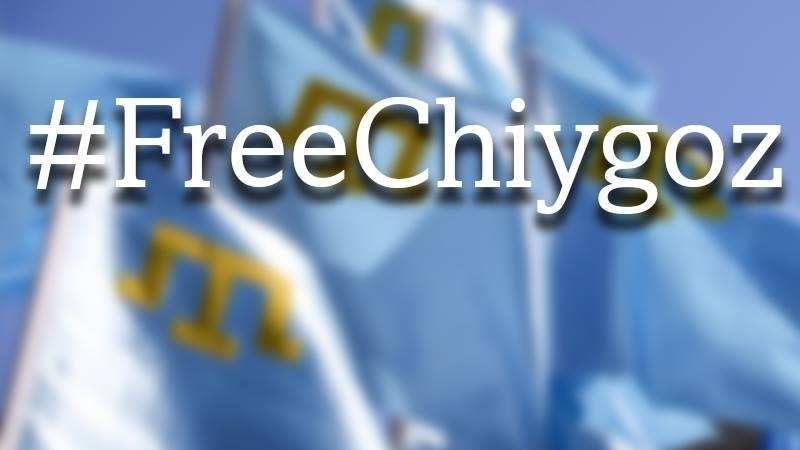 “The unfair trial of Akhtem Chiygoz crowns a string of obviously fabricated criminal and administrative cases against members of the Crimean Tatar community. It represents the persecution which activists face, and their only "crime" is the open opposition to the occupation of the peninsula by Russia," Director of Amnesty International in Ukraine Oksana Pokalchuk said. The organization stressed that even according to the Russian criminal code, under which Akhtem Chyigoz was accused and convicted, these events do not meet the criteria of "mass riots". “Ahtem Chiyhoz is a prisoner of conscience, imprisoned solely for attempts to peacefully exercise his rights. He must be immediately and unconditionally released,” the report says.